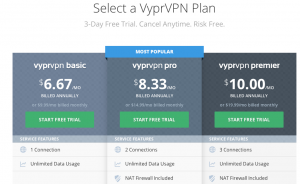 If you choose VyprVPN, you will have to decide upon one of the three packages. First package comes with the lowest price. However, it’s not the ideal choice because it is used PPTP for encryption, reducing the security. The other two packages are on 160bit and 256bit and their encryption is OpenVPN. In other words, these two packages are very good and can`t be hacked into. The prices are quite different. If you want something cheaper, VyprVPN has for you a package that cost just 6.67$ per month – take caution because you have to choose the offer for at least one year to benefit from this offer. On the other hand, if you want something more safe, you can choose a packet what cost 10.00$ per month – also billed anually. 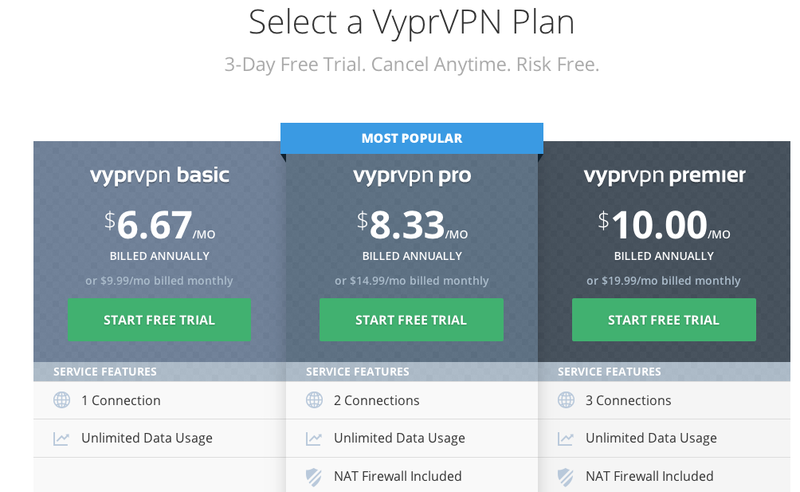 Of course VyprVPN offers you the possibility of paying per month, but that will cost a bit more. One of the most important things about Golden Frog is speed. They have their own servers worldwide. They are not limited by the draconian laws about the data you keep, simply because the company is Swiss. These two make from VyprVPN one of the best VPN businesses around. 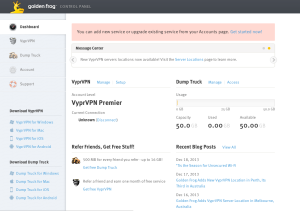 VyprVPN basic it’s the first package from the three that are provided by Golden Frog. This package has 128bit encryption, as we already said. 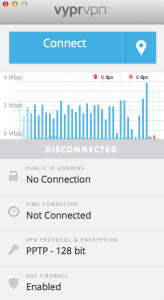 You can have an unlimited number of IP addresses and you don’t need to pay extra. Of course, you have great speed and no limit for downloads. For this package you can pay 6.67$ per month if you go for an annual charge or 9.99$ per month on a month to month basis. If you want to feel secured, it is good to avoid PPTP because it is a little bit vulnerable, easier to break. Also, if you chose this package you receive 10 GB online for Dump Truck. This package it’s a little bit expensive, but it offers you more advantages then the basic package. Of course, you have all the services that the basic package includes, but some other services extra. You can pay for it $8.33 if you go for an annual charge or $14.99 per month on a month to month basis. This package it’s safer; it uses L2TP/IPsec with 256 bit encryption, OpenVPN SSL. With this package you receive 25 GB for Dump Truck, more GB than with the basic package. VyprVPN premium it’s the best package you can choose. It has 256bit encryption OpenVPM which makes it perfect for you in case that you need top security measures. Also, they offer you 3 simultaneous connections, more than the first and second package and 50 GB of online storage. The price it’s $9.99 if you go for an annual charge or $19.99 per month on a month to month basis, a low price for such a good service. What it’s the secret of such a good speed on Golden Frog? They have their own networks and servers and they are very kind and responsive with their clients. The high number of IP Addresses is the same no matter what pack you choose. 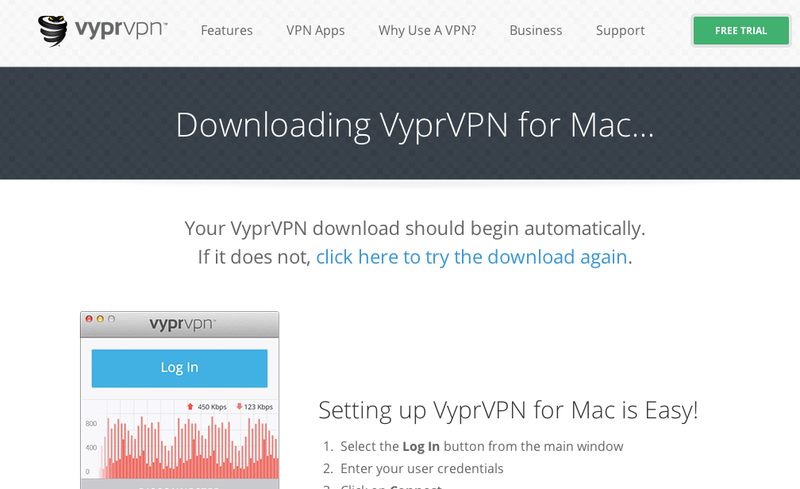 VyprVPN has a good system that can make your life easier. If you have a question or something that isn’t so clear, you can write them about what you need and they will answer to you in maximum 15 minutes. If you don’t want to wait 15 minutes, you can go for online support and tell them on chat about the problems you encounter. They will help you in just a minute. As we noted earlier, the first package with PPTP it is not so secure; it is vulnerable and can be hacked. On the other hand, VyprVPN pro and premium packs have the greatest security available. These packages have 160 and 256bit with OpenVPN. This is the reason why these packages are so unbreakable. We are sure you will be satisfied by their high quality, speed and security level. A lot of their servers and networks are located in Europe and North America. An important thing that is good to be kept in mind is that when you try to switch the server, your connection may fail. The company sustains that there are no such things as log files which record users’ activity. It’s a big advantage to be out of the NSA & European laws when it comes to downloading. 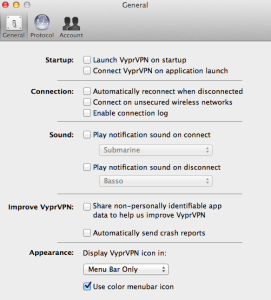 VyprVPN comes up with a very good protocol called Chameleon. 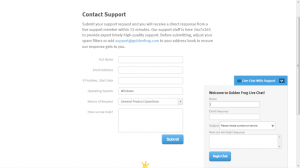 This protocol is designed by the specialists from GoldenFrog. It’s actually a scrambled version of 256bit OpenVPN and it helps people in countries where the government and ISPs actively block traffic using normal VPN ports (China, Russia, and the middle east). A cool feature is that there’s a 3-day trial in which you can test the features for free. However, you will be forced to enter you card details in order to gain access. In case that you are not satisfied with the collaboration, cancel the process within the 3 free days, otherwise your credit card will be charged. We decided to go for the premium package. After a quick e-mail verification, the installers were already one click away. We were using Mac OS X, so installation went normal. As soon as we ran the application, a small panel appeared. We assume that there’s no need for a snapshot here, as you probably will know how to log in. Next is the connection screen. 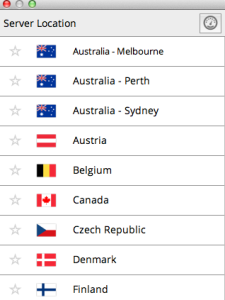 Here you can select one of the many countries to connect to. No difficulty in choosing the server country. In the preferences menu, as you can see, there are a few things you can play with. As you can see there’s little difference when it comes to download speed. The upload speed is even better with VPN. The company scored such results due to the well-designed networking system. Due to the fact that the company has a lot of experience, we definitely recommend them. 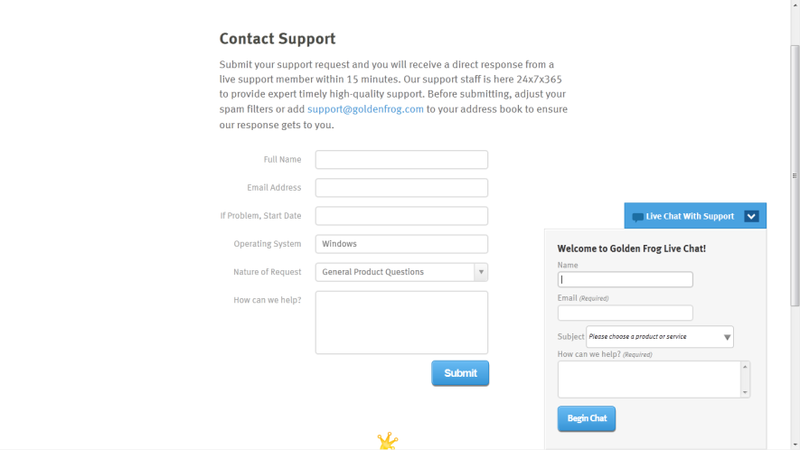 There’s a great connection speed, easy to use software and kind customer support in case that the things are not going well. But probably the best thing is that there are no annoying laws which restrict what you download. You have three days to test the services, so why shouldn’t you try?